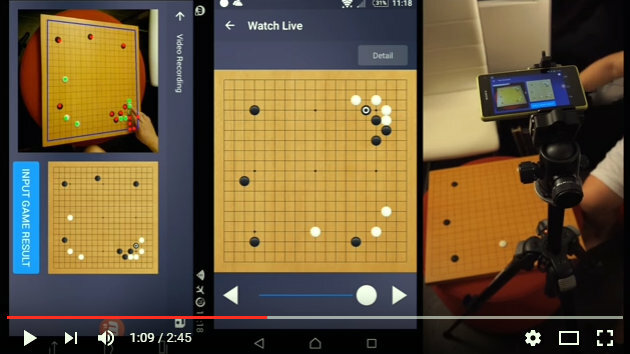 Automatic game recording app “JustGo” will be demonstrated at this year’s US Go Congress. Lei Chen 7d and Yi Tang 2p from WanTong technology will be on hand at the Congress with their newest technology. Click here to see a demo; the app will be available both in iOS and Android. Slate and Shell Go Stones (Used) Needed: Mr. Wan is collecting all types of shell & slate go stones. If you have such stones in good condition and willing to sell, please email zhang.tfa@gmail.com with your offer price and pictures. The event runs from 12-8pm at the University Arts League, 4226 Spruce Street, and is being put together by Penn Go Society club member Quinn Dougherty. RSVP on Facebook here or to sothis.ensemble@gmail.com. Dougherty can be reached for further inquiries at quinndoughtertymusic@gmail.com or 484 883 9487. 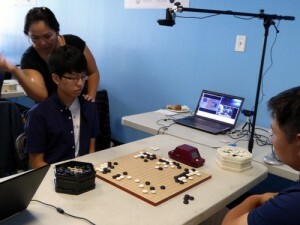 More than 30 participants turned out for the June 5 tournament sponsored by the Huaxia Chinese School of Greater New York held at White Plains High School, NY. 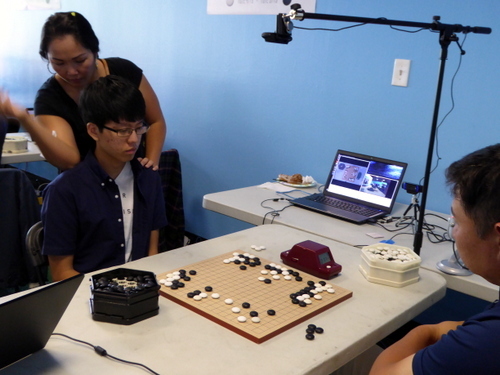 Go players came from various cities in New York, New Jersey, and Connecticut for the first AGA-rated tournament organized by Leon Lei and Jie Tang. 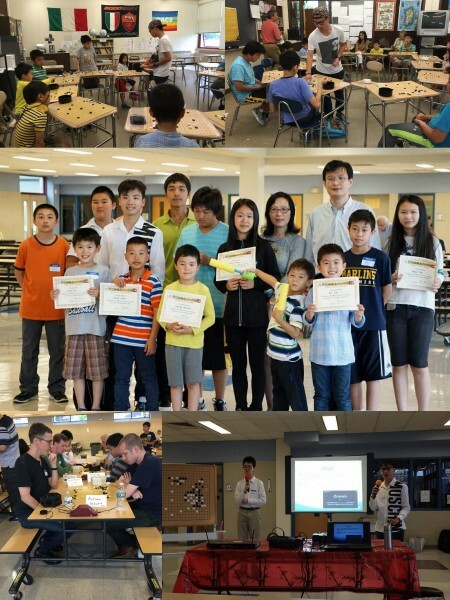 Attendees included children 6-12 and go students from the Chinese school who competed in a casual round-robin tournament while adults (AGA members) played in rated games. The tournament featured a special guest, Matthew Hu 2P from California. Along with Yingshyan Ku 3k, the two of them gave a presentation on the highlights of the Lee Sedol v. Alpha Go games. Hu also played simultaneous games with students of the Huaxia Chinese School. Park Junghwan 9p and Lee Sedol 9p face off tonight in the first game of a best of three for the quarterfinals of the 8th Ing Cup Professional. Myungwan Kim 9p will give his commentary on the AGA YouTube channel starting at 8 p.m. PDT tonight, hosted by Andrew Jackson. After the Ing match, probably around 11pm, if time permits, Myungwan and Andrew will continue with the final match of 6th 黄龙士双登杯 (HuangLongShi ShuangDengBei), the Nongshim Cup for women. The final players are Choi Jung 6p of Korea and Wu Zhiying 5p of China. Both of them are the strongest women professionals in their country and whoever wins will bring the trophy home. Making good on their promise to support both go and educational initiatives, the developers of AlphaGo Monday announced the division of the $1 million prize fund they won in March’s historic match with Lee Sedol 9p, including grants to both the American Go Association and the American Go Foundation. “Go is good for kids and the Google grant will help us reach and teach more of them. Broaden the base!” said AGF President Terry Benson. 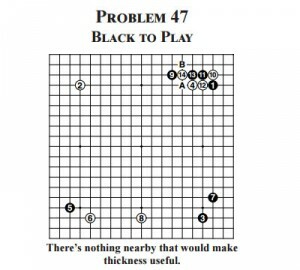 AGA’s proposal to DeepMind was to use the AGA grant as the basis of a North American pro championship tournament over six years, and for AGF to use the grant to explore methods of more effectively spreading go in schools, said Okun. 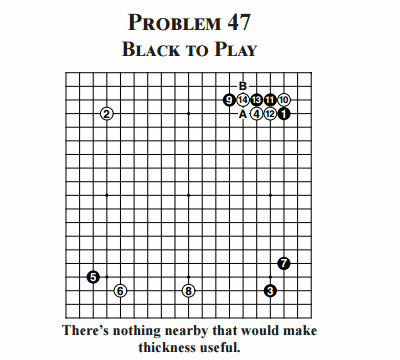 The AGA is seeking three representatives for the World Baduk Masters division of the upcoming 2016 Samsung Cup. The “World Division”, which features players from the Americas, Europe, Africa, and Southeast Asia, is a preliminary stage of the main Samsung Cup event, one of the largest international go tournaments in the world. The World Division will take place July 17-20 at the Korean Baduk Association in Korea. All World Division participants will be paid $1,000. Travel arrangements and accommodations are the responsibility of the players and will not be paid for by the KBA. There will be an online qualifier on June 11th – 12th to determine our three representatives – participants must be at least AGA 5 dan to participate. 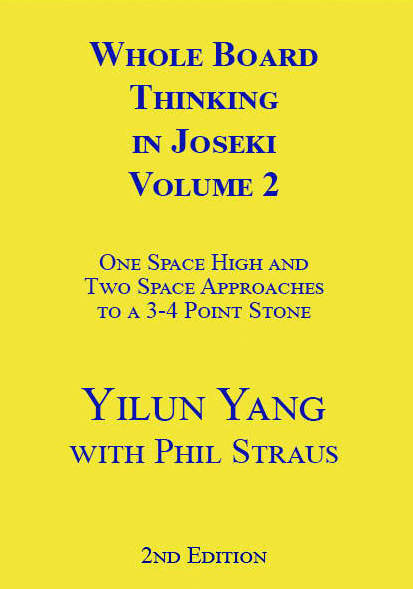 Interested players should contact peter.nelson@usgo.org and cherry.shen@usgo.org, or president@usgo.org immediately. The winner of the World Division will go on to to participate in the Main Division of the Samsung Cup (also in Korea), which is a knockout event beginning on September 5th and running until early December. The Main Division features substantially greater prizes, up to the 300,000,000 Korean won first prize (roughly $250,000 in US dollars). To be eligible to participate, a player must hold a North American passport, meet the other eligibility requirements for international representation of AGA or CGA, and not be a member of an Asian professional go association. AGA certified pros are eligible.